It is really happening. 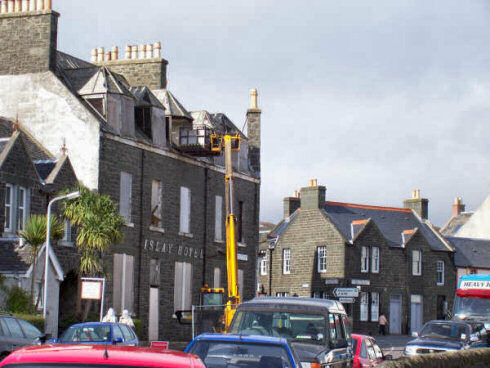 On Wednesday I mentioned that the redevelopment of the Islay Hotel in Port Ellen was finally going to kick off this week. Earlier today I received some pictures from Islay showing first progress. I'm told that the building will be completely demolished next Saturday and then it's just a case of clearing the site. Hopefully soon after first signs of rebuilding on the site will appear. 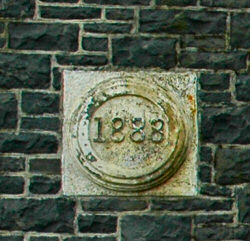 There's one thing I'm wondering if they're going to save and possibly recycle it in some way: I don't know the correct name for it (I assume there is one, but I don't know it), but it would be nice to somehow preserve the stone with the year the Islay Hotel was originally built. 1888, almost exactly 120 years ago. 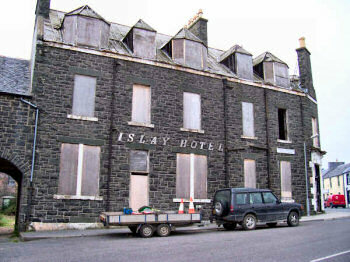 Or will the new Islay Hotel already emerge from the ‘ashes’ in 2008, exactly 120 years after the first one was built? 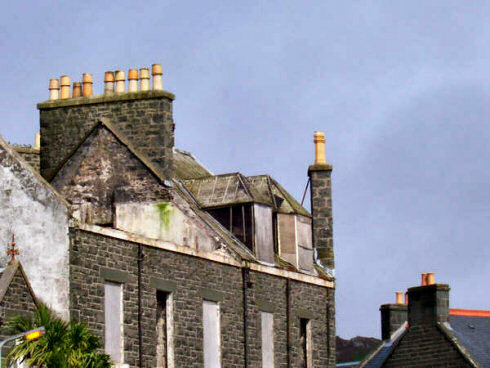 Either way, good luck with the project, I'm looking forward to seeing the new Islay Hotel in Port Ellen. And then hopefully staying at it at some point.